Outsource2india successfully provided audio transcription services to an Irish client in just 72 hours! An independent client located in Dublin, Ireland recently engaged Outsource2india to transcribe more than 9 hours of audio recordings for a research project about anxiety. The client, a PhD student, needed the transcription completed quickly and with minimal errors. The team at Outsource2india took the following steps to address the above challenges and ensure the final transcribed files were of the highest possible quality. As a result of the extra time spent working with these audio files, the O2I team was able to produce the transcripts at a quality and accuracy level of 95%, meeting the client's quality benchmark. They were also able to complete the entire project in the 72-hour timeframe they were provided. The client was very pleased with the end result and agreed to assign additional work to the team if the need should ever arise. 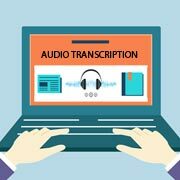 To learn more about Outsource2india's transcription services and how we can help you complete your project quickly, Contact us today.